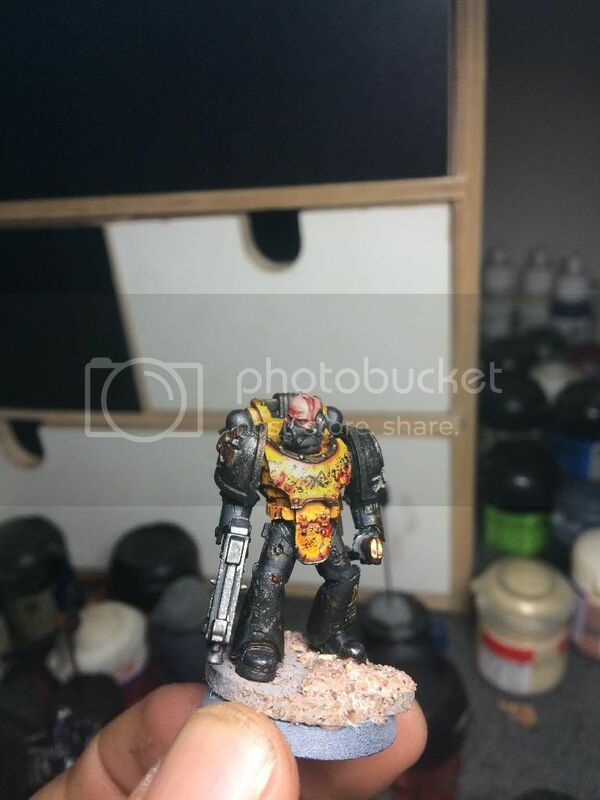 Hail brothers, most of you if not all of you know I'm a son of Dorn but......I have a weakness for under strength or near annihilated chapters....to me they have so much more character to build upon on. 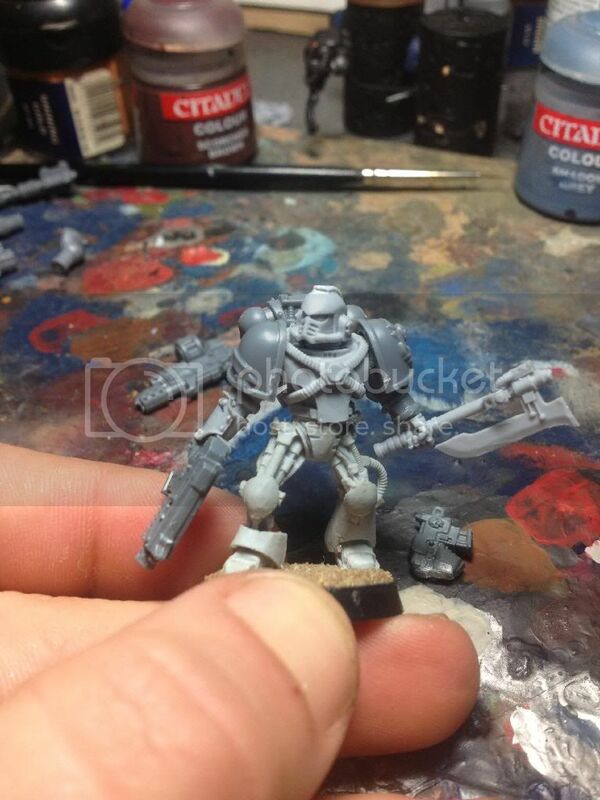 ...two Xenos hating chapters....what's not to like? 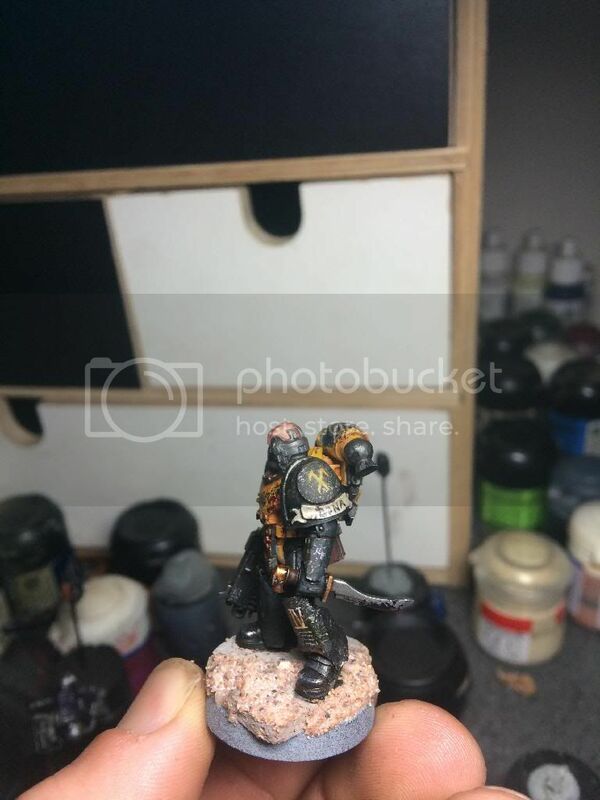 So here's my work so far and the WIP of these guys. 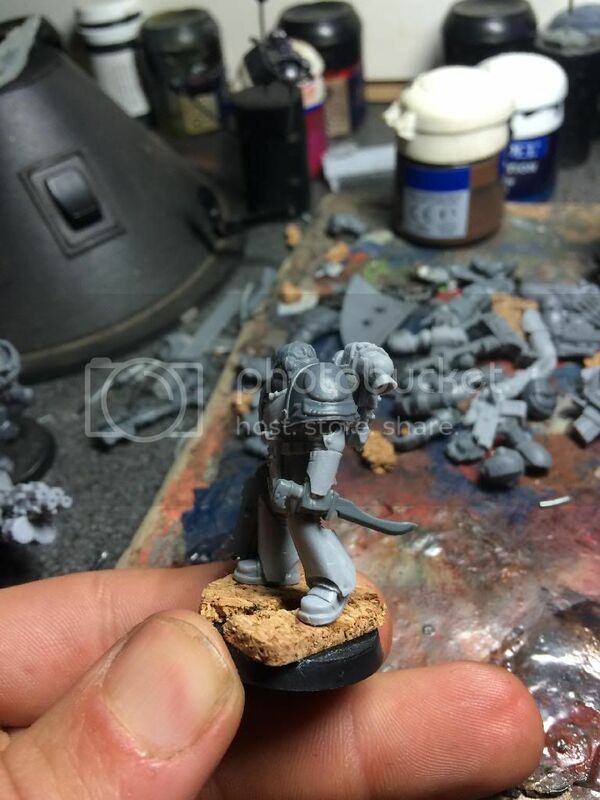 Now he'll be sporting a Heavy bolter, and he'll be having a red stripe on his yellow knee pad as in short he was the only surviving dev of his company and was drafted into the newly form 1st Sternguard squad. Edited by Grizzly_bear, 13 November 2018 - 10:09 AM. Immediately followed. 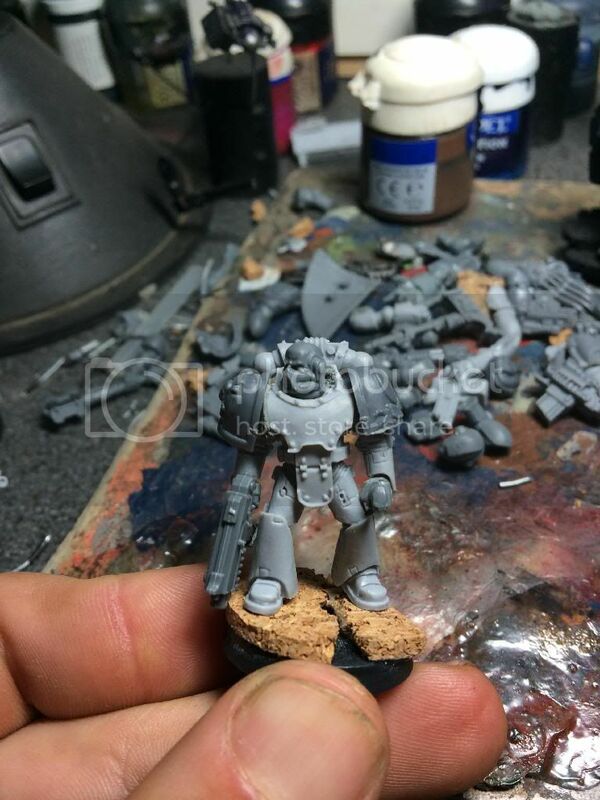 Specatcular work, Dorns_fist, I'd say even better than your Crimson Fists. I'm stoked to see what you can do with these guys. I'm really excited to see what comes of this, I saw that sergeant and I'm now hooked! Looking good. It's a cool scheme and your weathering is great. 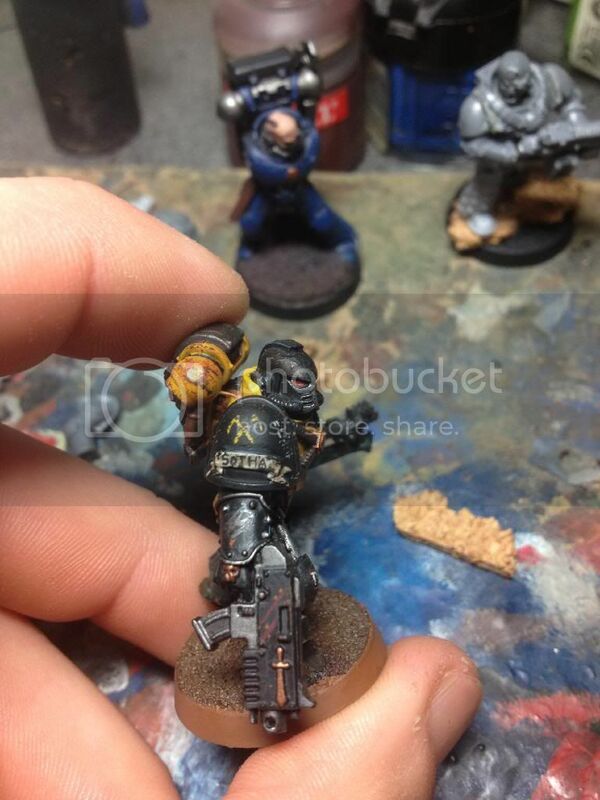 Cheers man, your stuffs looking awesome now too, also no pigments on these guys at all. Lol thank you bro, glad you like these. 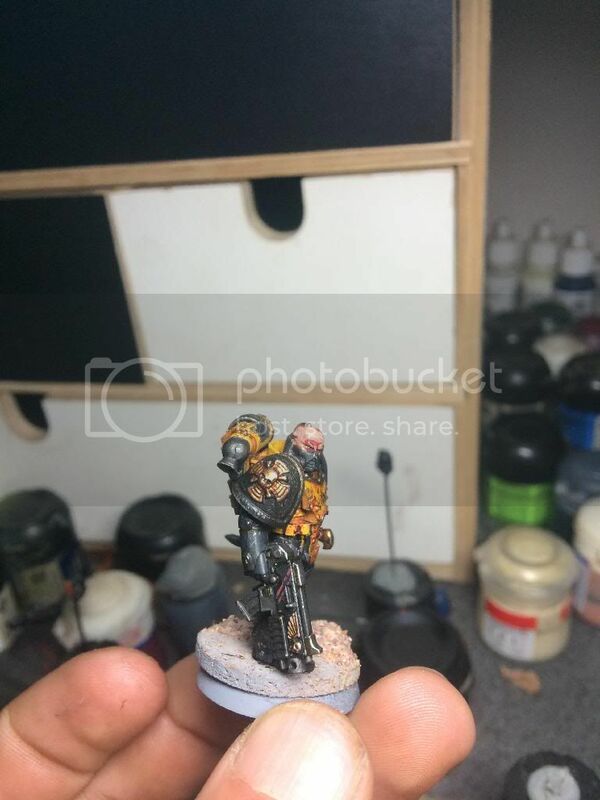 Fantastic models - the Scythes have a really rich background, and you're doing them justice with your conversions and painting. They look badass, and just the right side of grimy/beaten up. Looking forward to seeing some characters. Mainly because I've been thinking of a Kill-Team of these guys for a little while now. 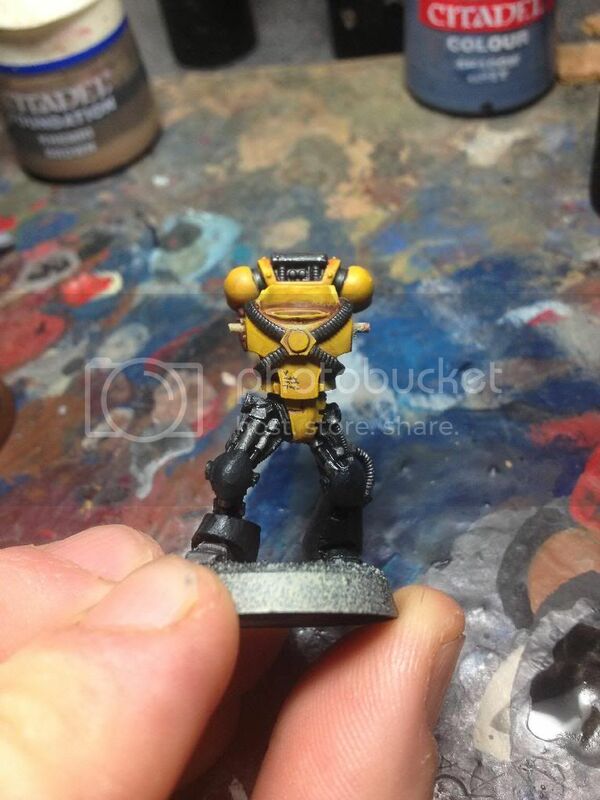 But it might also help my Imperial Fists. My new favorite wip thread. They look great. The figs and the painting. Excellent work so far. Really gritty and grim. The vibe they give off seems to capture what you're describing looking for. 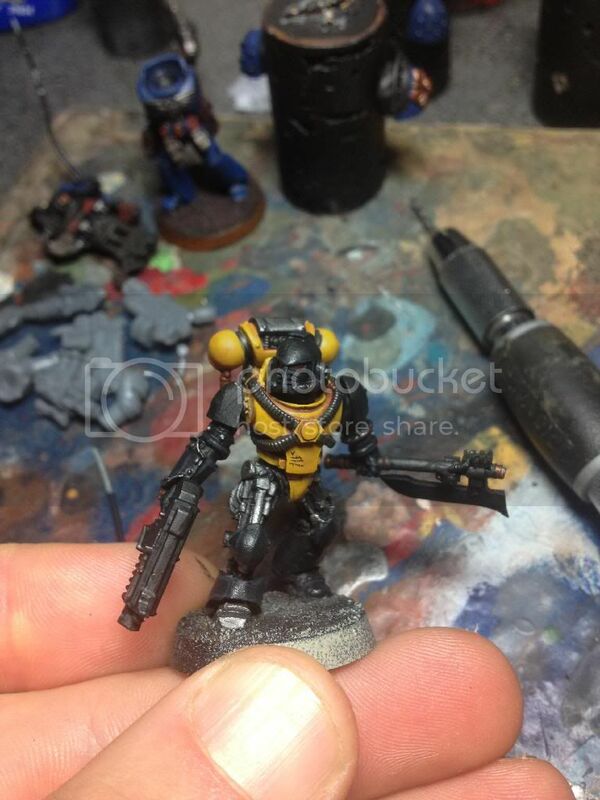 These are beautiful looking minis already and take on the black and yellow is perfect. 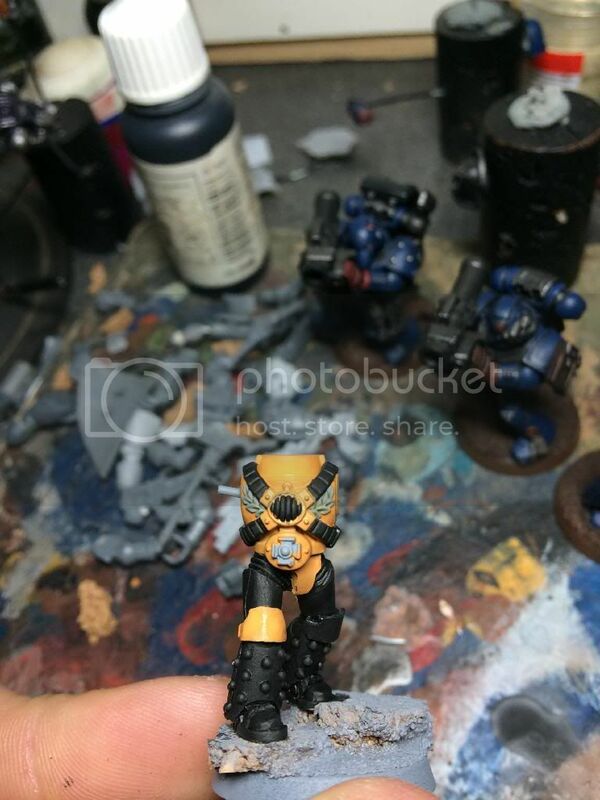 I would also like to know how you painted them, the yellow and the black please! If you are planning on taking volunteers for named marines like you did for your Crimson Fists I would like to be the first in line. Lovely Scythes. 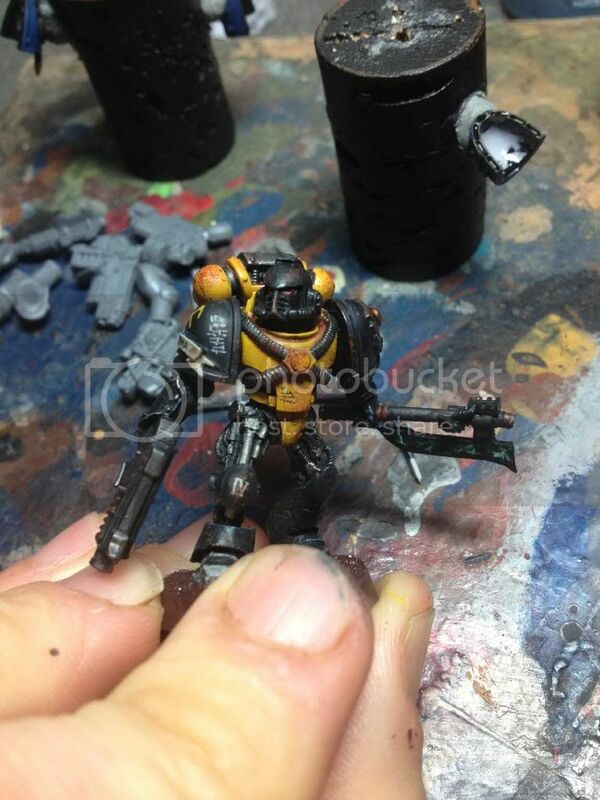 The yellow looks great, and you've got just the right battle damage for my tastes. Can't wait to see more! Vallejo flesh wash (watered down) in the crevasses...focusing more on the 'bolt' heads (if you've chosen MKII/III/IV/V OR VI armour parts. 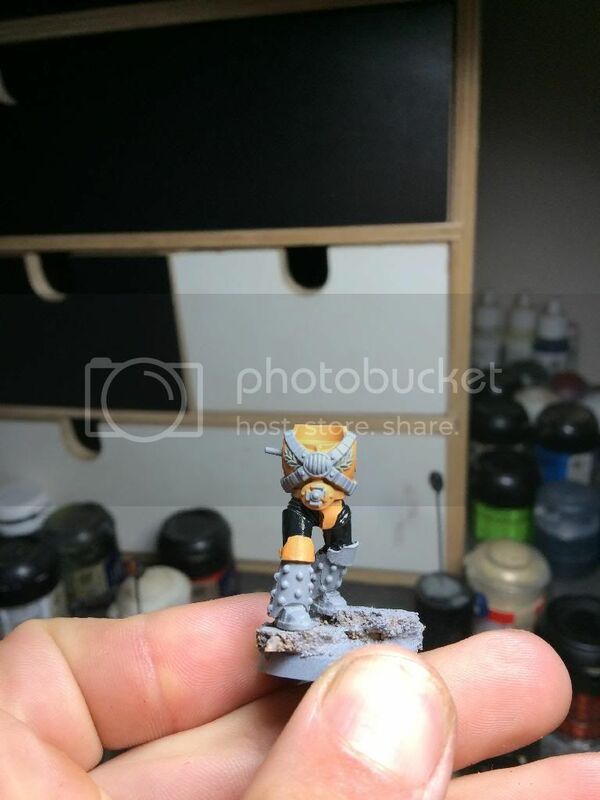 Broad highlights of a shadow grey/chaos black mix I made about a 40/60 ratio....add this in 'thick' lines around the armour edges. My next course of action is to buy another pot of tamiya clear red and a clear blue and mix these two together to create "purple Ichor"
Thanks so much for the response guys...really pleased by that. “Three Legions of Marines stand to defend you, sire. All of us will unflinchingly place ourselves between you and the war’s desolation. We are the greatest humans ever born – we are the flame of Humanity where the rest of the galaxy is just the spark. - Primarch Sanguinius during the Battle for Terra.